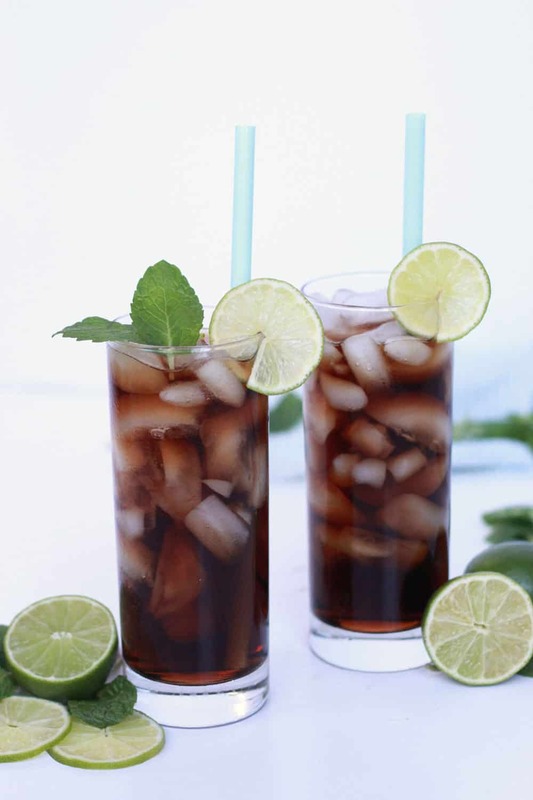 Dirty Dr. Pepper is a non-alcoholic drink made with Dr. Pepper, coconut syrup and lime! 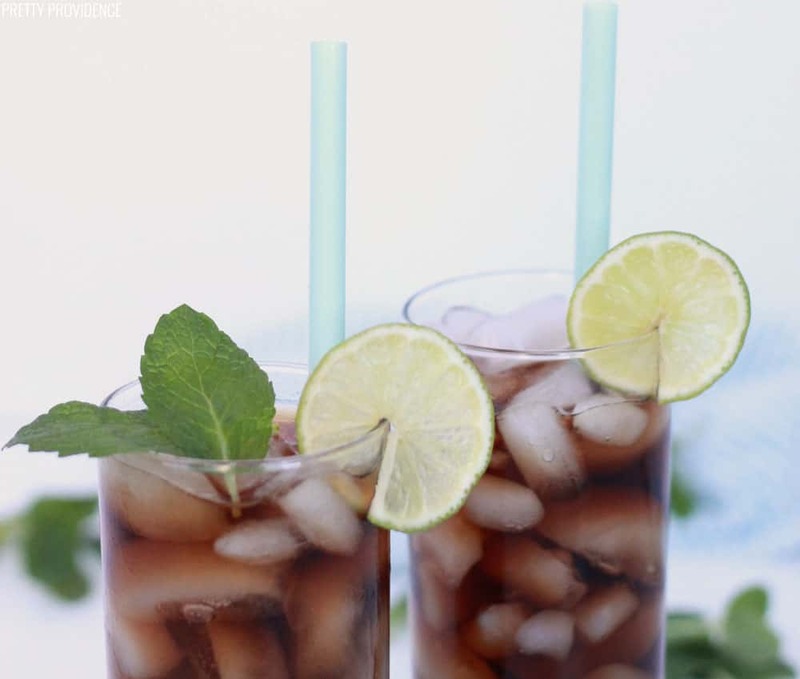 It is a delicious and refreshing mocktail that any Dr. Pepper drink lover will appreciate! I’m so excited to share one of my favorite things on the planet today. It’s a copycat recipe from a drink shop in Utah, called Swig. They serve cold sodas infused with other flavors (like Sonic, but WAY better) and they also serve sugar cookies, all in a drive-thru. The experience is magical. Since I don’t live near a Swig or any of the copycat drink shops that have popped up since it became popular, I decided to figure out how to make Dirty Dr. Pepper at home. I tracked down some coconut syrup and have been hooked ever since! Here’s my version of a Dirty Dr Pepper. 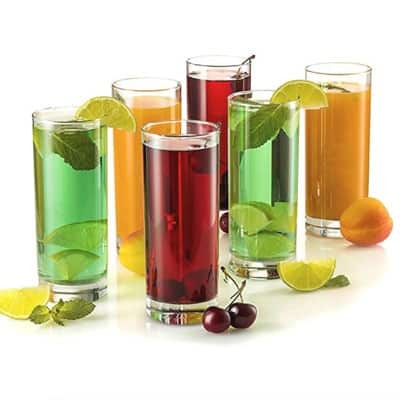 The drink shop calls any soda with the added flavors of coconut and lime a “Dirty” soda. These flavors can be used with Diet Coke too for a Dirty Diet Coke, if that’s your preferred drink. The combo is great with pretty much any soda! They have clever names for all of their drinks. 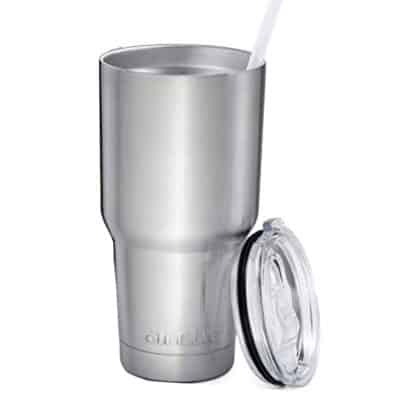 It’s simple: Fill your cup 1/4 full with ice and add one slice of lime. 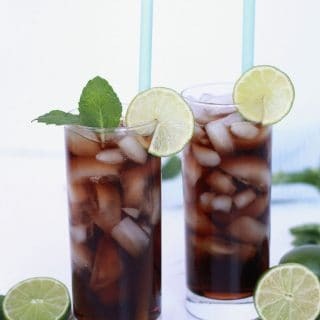 Pour Dr. Pepper in and add about 1 teaspoon of coconut syrup for every 1 cup of Dr. Pepper. 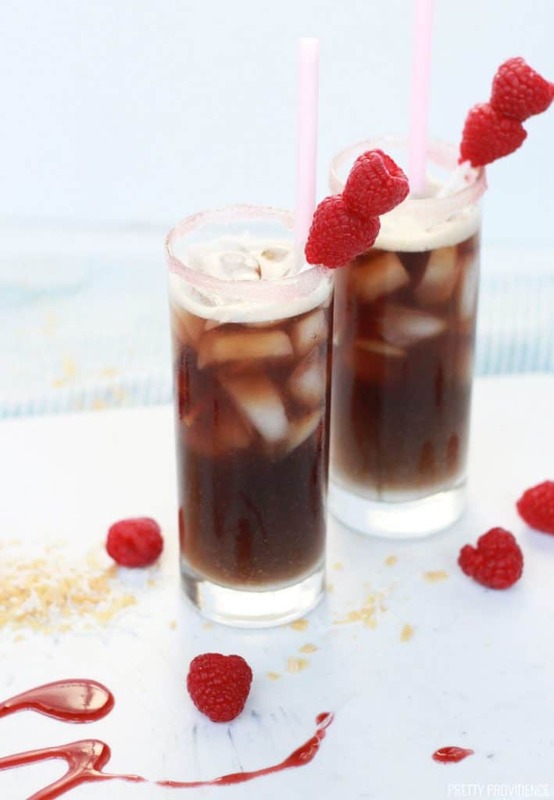 This beautiful drink goes perfectly with sugar cookies, like these! 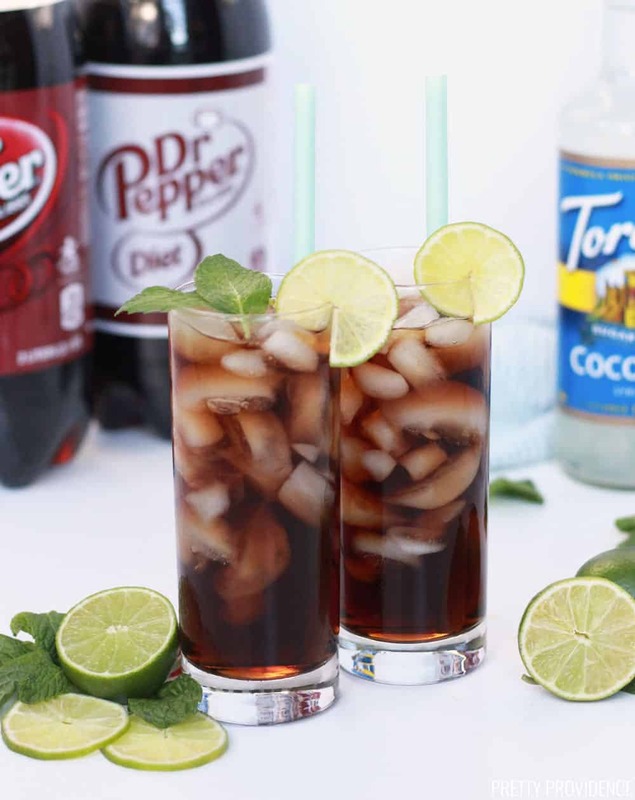 This Dirty Dr. Pepper Swig copycat is a delicious non alcoholic drink recipe with coconut syrup and lime! It's easy to make and SO refreshing! A great summer mocktail! Fill your cup 1/4 with ice. Add one slice of lime. Pour Dr. Pepper into cup and mix. If you love Dr. Pepper, you also HAVE to try this Raspberry Dream – another Swig copycat made with coconut cream and Raspberry puree! You know I love my Dr. Pepper! 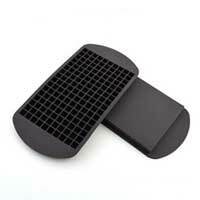 This post was originally published on February 11, 2014 and has been updated. Hi Sylvia! There are links to the coconut syrup in our post. It is not the same thing as coconut extract. 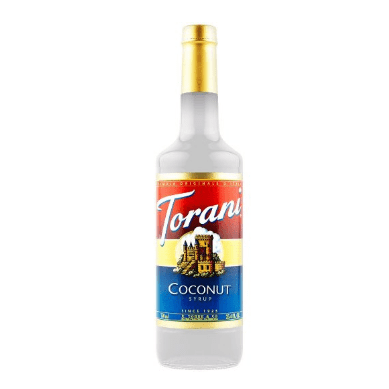 It’s a syrup specidfically for mixing into drinks, and it is Torani brand. Here is the link to it on Amazon: http://amzn.to/1ZJB1hM I’ve also bought it at World Market! I like the sugar free kind! I love Dr. Pepper and need this in my life!!! What a fun drink! Fun for our next movie night. Perfect for our upcoming gathering, thank you! These are the life of the party! Such a fun drink. I LOVE Dr. Pepper! I need this in my life. You really do! It is my FAVE! YUM! I’m so excited to try this! I quit drinking a year ago and I’ve been struggling to find fun drinks that don’t have alcohol in them that aren’t loaded up with sugar. This will be my 4th of July drink! I have a slight obsession with dirty dr pepper. Next to Pasta factory’s raspberry lemonade, it’s my favorite drink! I have made the swig sugar cookie copycat recipe, and I must be honest, I like it better than the actual sugar cookie from swig!